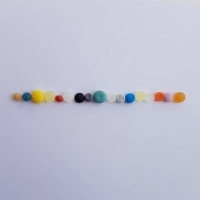 Plastic pellets pollute 88% of countries surveyed during first Global Nurdle Hunt with over a thousand people taking part across all 7 continents. Just over 2 weeks ago the Great Global Nurdle Hunt was concluded. The results are now in, and the problem is indeed global. The world’s first Great Global Nurdle Hunt, organised by environmental charity Fidra, revealed the global scale of plastic pellet (nurdle) pollution with nurdles found from the Galapagos to Galloway. A total of 352 nurdle hunts took place over 9 days (8th-17th February 2019), in 32 countries and across all 7 continents. 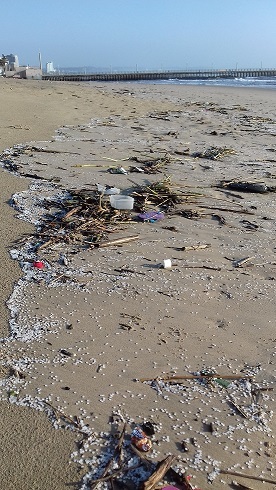 Plastic pellets were found on 84% of beaches surveyed and in all continents surveyed except Antarctica – demonstrating the need to address this issue and stop pellet loss at source. Over 1200 people took part in a Great Global Nurdle Hunt involving more than 75 organisations, community groups and local businesses from across the globe. This equated to more than 1400 volunteers hours! Nurdle pollution was evident across 28 out of 32 countries surveyed from the Gulf of Mexico to Abu Dhabi, Ecuador to South Africa, with 84% of nurdle hunts finding some nurdles and over 40% of those hunts detected more than 100 pellets present. 12.5% of hunts found over 1000 nurdles. Not even the 'pristine wildlife haven' of the Galapagos Islands, home to the species observed by Charles Darwin in 1835 which formed the inspiration for his theory of evolution, escaped nurdle pollution. 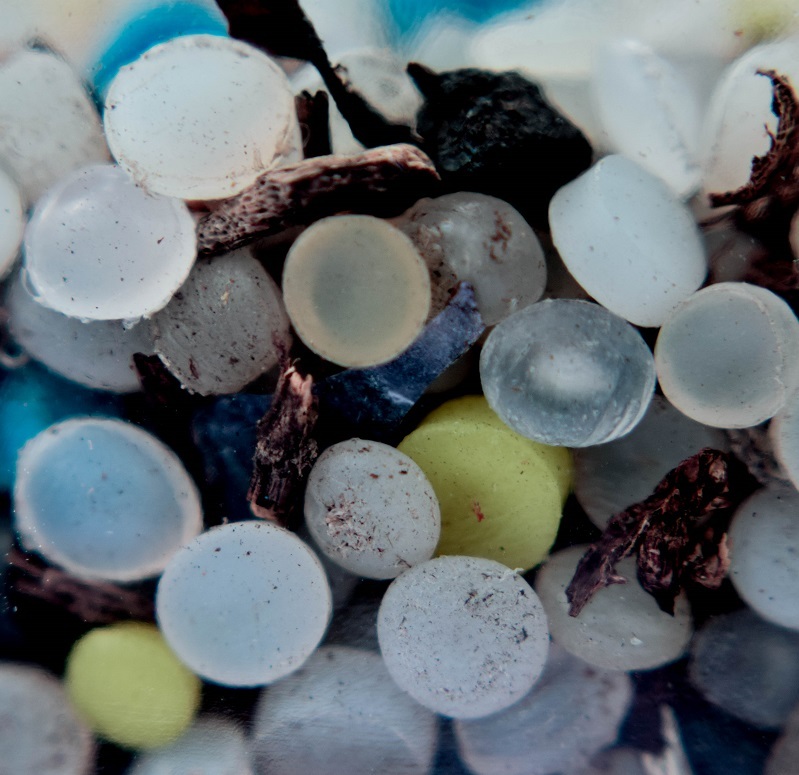 During a nurdle hunt on Tortuga Bay in The Galapagos Islands, more than 9000 plastic pellets were found. Whilst, closer to home millions of pellets were found on Ferrycraigs beach, North Queensferry, Scotland. Jasper Hamlet, Fidra explains “The worldwide response to the Great Global Nurdle Hunt has been fantastic and it shows people really care about this issue. 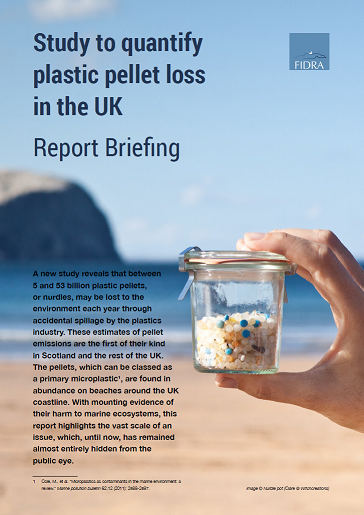 The valuable data collected by over 1200 people clearly illustrates the global extent of plastic pellet pollution, this evidence means the issue can no longer be ignored by governments or many in the plastics industry”. 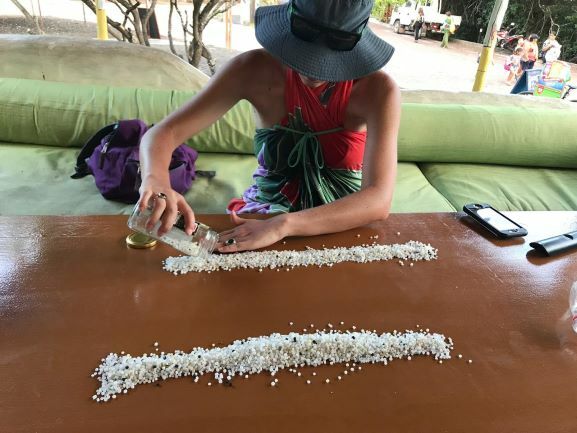 María Esther Briz, Project Manager at Mingas Por El Mar who ran the nurdle hunt in The Galapagos says: “We are shocked and worried about the magnitude and global extent of the problem. The impact that nurdles have on the fauna of these islands is difficult to calculate but it is indisputable that remedying marine pollution, including plastic pellet pollution, is vital for the conservation of fragile ecosystems such as the Galapagos". (Image Credit:María Esther Briz, Mingas Por El Mar, Galapagos Islands). Nurdles are easily and often spilled at plastic production sites, in transport and when nurdles are converted into products. 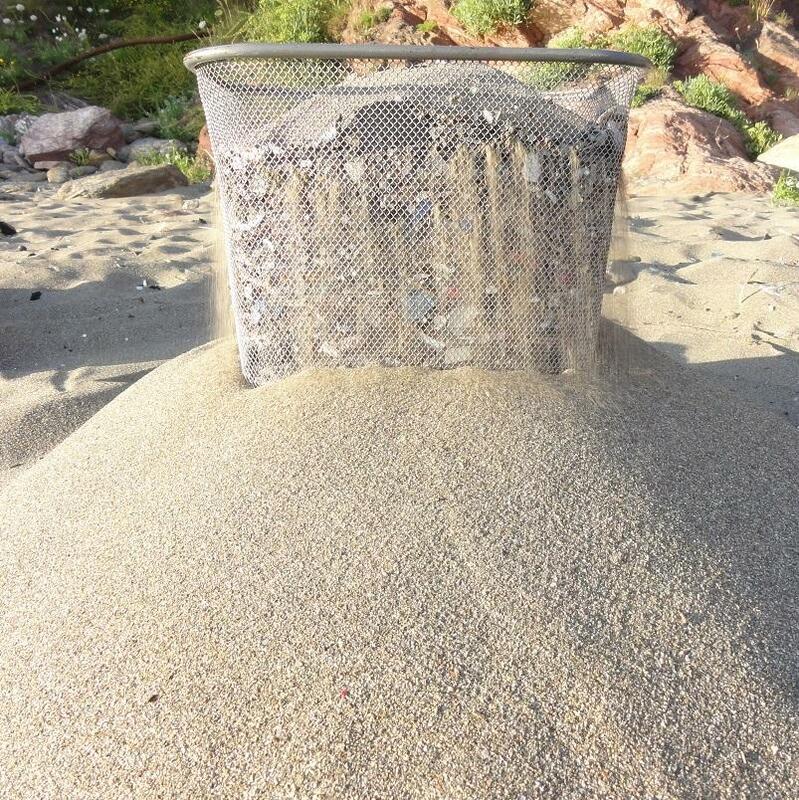 It is estimated that 230,000 tonnes of nurdles can be lost to the oceans globally, every year. Some companies are already committed to stop pellet pollution from their sites, but to see an end to global nurdle pollution all companies handling pellets need to have effective best practice measures in place. Nurdles are small plastic pellets that are produced and melted down to make almost all our plastic products. It is estimated that 230,000 tonnes could be lost to the oceans globally, every year. Once in the environment they are hard to remove, and last for a long time. Nurdles contain a mixture of chemicals, can adsorb toxins present in the water and can be colonized by faecal indicator organisms (FIOs), such as Escherichia coli. Easily mistaken for food by many animals, nurdles and their toxins can enter the food chain. What is being done by industry? Since its inception in 1991 Operation Clean Sweep has been the flagship programme designed by industry to reduce plastic pellet loss. Companies can commit to stopping pellet loss from their sites However in its current form this voluntary scheme has not been enough to keep wildlife and environments worldwide safe from plastic pellet pollution. The plastics industry is inherently global and with predictions of global plastic production set to double by 2030, a global approach is needed to tackle pellet loss throughout the entire plastic supply chain from pellet production to product. Pellet pollution is the responsibility of those who use, produce and transport nurdles and is an entirely preventable form of pollution. 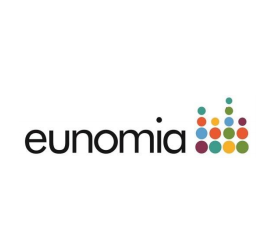 Fidra are working in partnership with NGOs Fauna & Flora International (FFI) and the Environmental Investigation Agency (EIA) to tackle nurdle pollution from industry at national and European levels. Fidra, FFI and EIA are calling for a supply chain approach with pellet pollution addressed at all stages of pellet handling. To ensure pellet containment is effective and the whole plastics industry take responsibility, Fidra, FFI and EIA are recommending external audits of the steps companies are taking to limit pellet loss with reporting and communication to increase transparency and accountability in the plastics industry. Governments are beginning to take note of this issue. The governments of the British Irish Council including Britain, Ireland and the Channel Islands, discussed the pellet pollution problem at their Marine Litter Summit on Friday 22nd February 2019. 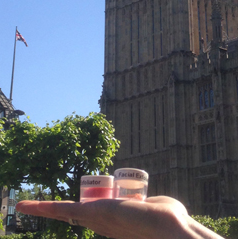 Ministers, from governments in across Britain and Ireland highlighted the need to further reduce plastic pellet loss with a transparent and auditable full supply chain approach. The Scottish government have set up a cross-stakeholder steering group to trial a process to achieving this supply chain approach. 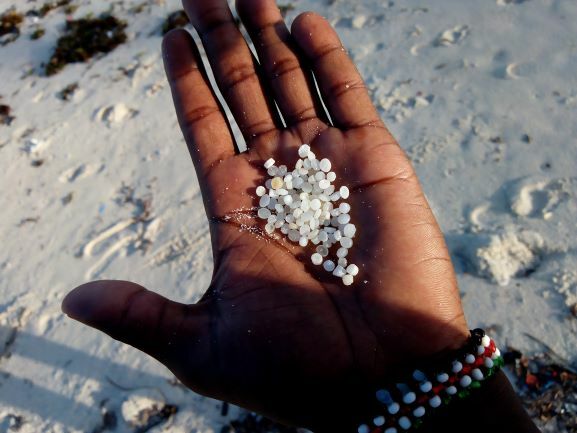 Jasper Hamlet, Fidra explains “The fact that over 9000 nurdles were found from just one nurdle hunt on the remote Tortuga Bay in The Galapagos Islands clearly demonstrates that this issue is global and plastic pellet pollution impacts us all. Urgent action is needed from governments and the global plastics industry to ensure pellets are handled responsibly throughout the plastic supply chain; from production, manufacture and recycling, to distribution and shipping. It is good to see evidence from our Nurdle Hunts informing inter-governmental discussions, we are looking forward to working together with governments to put commitments into action and putting an end to pellet pollution’’. More than a thousand people are set to take part in worldwide search for tiny plastic pellets in the first Great Global Nurdle Hunt, spanning 6 continents. 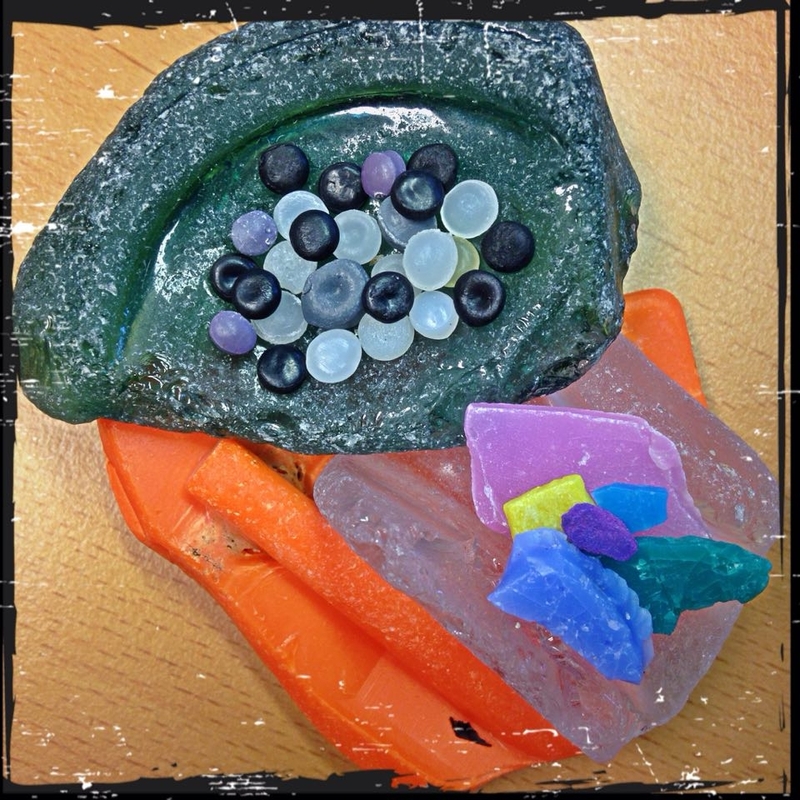 This Friday 8th February environmental charity Fidra launches the first Great Global Nurdle Hunt, an international beach survey to illustrate the global extent of a little-known form of microplastic pollution, nurdles. Anyone can take part by searching for nurdles (plastic pellets) on their local beach between 8th – 17th February and logging their nurdles finds at www.nurdlehunt.org.uk . So far 160 individual nurdle hunts are due to take place in 16 countries with support from over 60 organisations as part of this worldwide data collection event. Nurdles are small plastic pellets, melted down to make almost all our plastic products – they are easily spilled and can be lost to the environment if not handled carefully. Once in the environment they are hard to remove and can adsorb toxins present in the water. 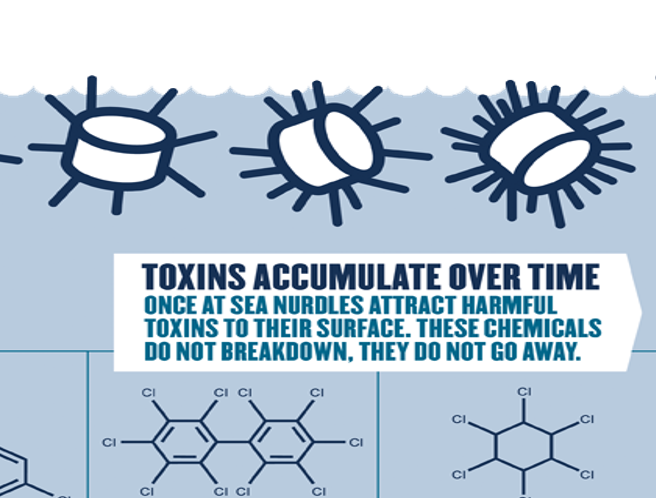 Easily mistaken for food by many animals, nurdles and their toxins can enter the food chain. In 2017, over 600 volunteers from across the UK found pellets littering 73% of the beaches they searched. Last year, volunteers on a nurdle hunt removed 450,000 plastic pellets from just one 20m stretch of beach in Scotland. That’s equivalent to around 800 plastic bottles. This year, The Great Nurdle Hunt goes global showing pellet pollution both nationally and internationally. 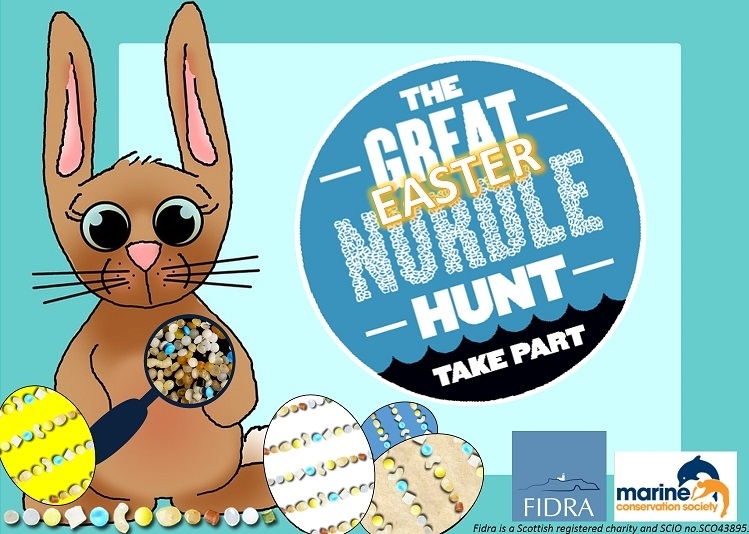 Between 8th – 17th February Fidra are inviting people to take part in The Great Global Nurdle Hunt, collating data on pellet pollution worldwide. In the UK, 2019 is the Year of Green Action and Fidra are calling for more people across the world to take part in Nurdle Hunts and help collect valuable data. 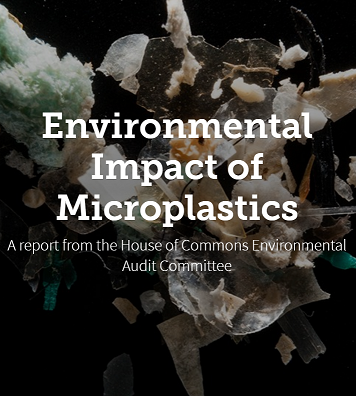 On 30th January, The European Chemicals Agency (ECHA) released proposals to regulate intentionally added microplastic particles used in over 9 sectors from Construction to Cosmetics. 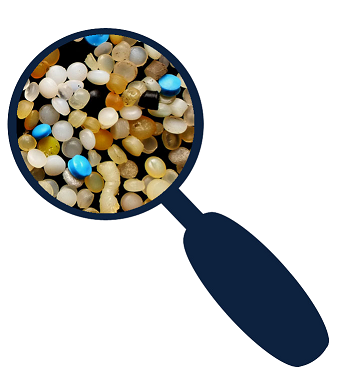 This is a step in the right direction, however, there is another little known and even greater microplastic pollution problem that isn’t being regulated – Nurdles (also known as pre-production plastic pellets). It has been estimated that 53 billion pellets could be lost annually from the UK alone with the amount totalling around 230,000 tonnes lost worldwide per year. Pellets escape at various stages of industrial processes – when they are produced, when they are transported between sites, when they are manufactured into plastic products and during the recycling process. Spills can happen within factories where pellets can be swept or washed down the drain, they may be lost when bags tear during transport or lost at sea when containers are unsecured. Some parts of the plastics industry have been implementing best practice measures to prevent pellet loss, by voluntary sign up to the industry devised scheme, Operation Clean Sweep. However, uptake of this voluntary solution by industry has been low and the current system doesn’t have any checks in place to make sure it is applied effectively. Ahead of the Scottish Government’s International Marine Conference Fidra have put out a call to supporters, organisations and individuals across the globe to take part in The Great Global Nurdle Hunt and show that these pre-production pellets are reaching the environment, are posing a threat to wildlife and need to be handled responsibly. 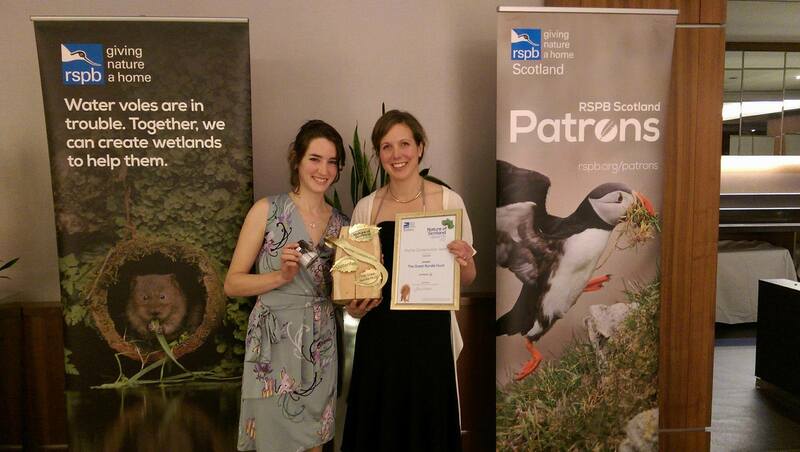 The Great Nurdle Hunt wins the RSPB Nature of Scotland Award for best Marine Conservation Project. We are delighted to announce that The Great Nurdle Hunt won the RSPB Nature of Scotland Awards for best Marine Conservation Project! It was an inspiring evening at Sheraton hotel in Edinburgh, where 300 people, representing organisations doing a variety of fantastic work across Scotland, came together to celebrate some amazing conservation success stories. The award was presented to our very own Sarah Archer and Madeleine Berg by Esther Villoria Dominguez, the Environmental and Consents Manager for Vattenfall. 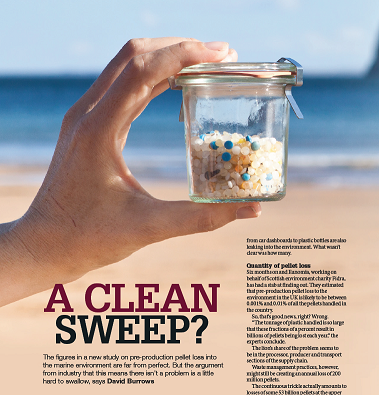 A new report on Operation Clean Sweep by Plastics Europe highlights recent industry action. 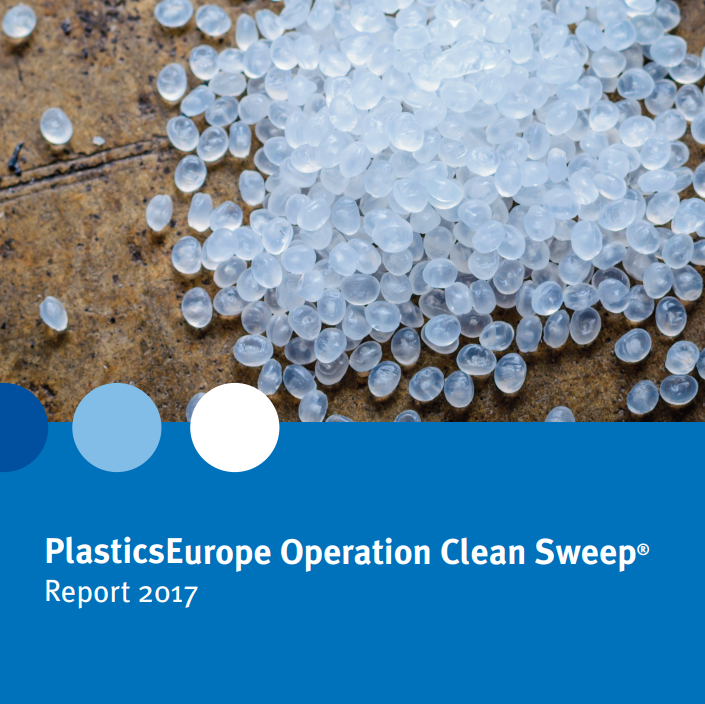 The European trade association for plastics producers, Plastics Europe, have released the first public report on Operation Clean Sweep, highlighting the progress the industry association has made over the last couple of years to promote the voluntary scheme to members. Welcome to our new-look Fidra News, Summer 2017 edition. This new look newsletter replaces our quarterly Nurdle News, as we wanted to make sure we celebrate all of Fidra's projects under one banner. Don't worry, there are still plenty of nurdle stories to go round :) . The Spring 2017 issue of Nurdle News is now available. We have exciting updates of what we've been doing since all of your hard work during the Great Winter Nurdle Hunt in February! Also updates from Fidra's Cotton Bud Project, and news of other projects that you can get involved with! Download a Pdf copy of the newsletter HERE. 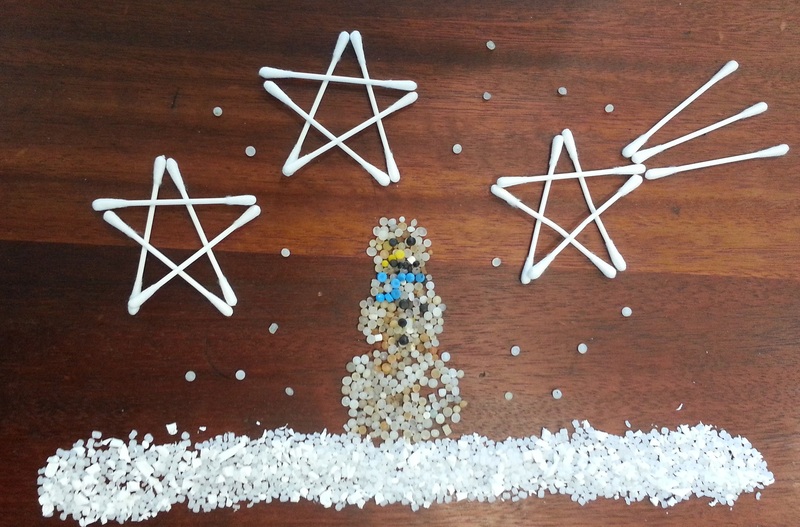 A very merry Christmas to all our citizen scientists and supporters, from Fidra, The Great Nurdle Hunt and The Cotton Bud Project! Introducing our new Nurdlehunting video how-to guide! Need a hand hunting for nurdles? Can't quite picture what the little pellets look like? Have you ever wondered whether you've been looking in the right spot? We hope this new film guide will help you answer any remaining questions you have! Check it out on Fidra's brand-new Youtube channel: https://youtu.be/VTSedYewQE0 - Please share or embed the video on your websites, we'd love as many people to get hooked on nurdle hunting as possible! 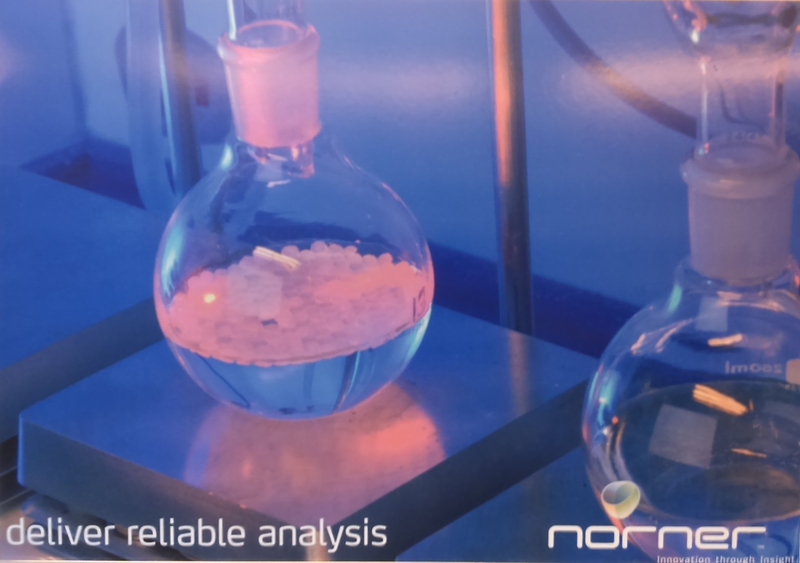 We have some preliminary results to share with you of some exciting new work we're doing in partnership with Naturvernforbund, Norway, using the plastics analysis laboratories of Norner. This sophisticated facility based in Norway, conducts analysis on plastics and specialise in analysing nurdles. 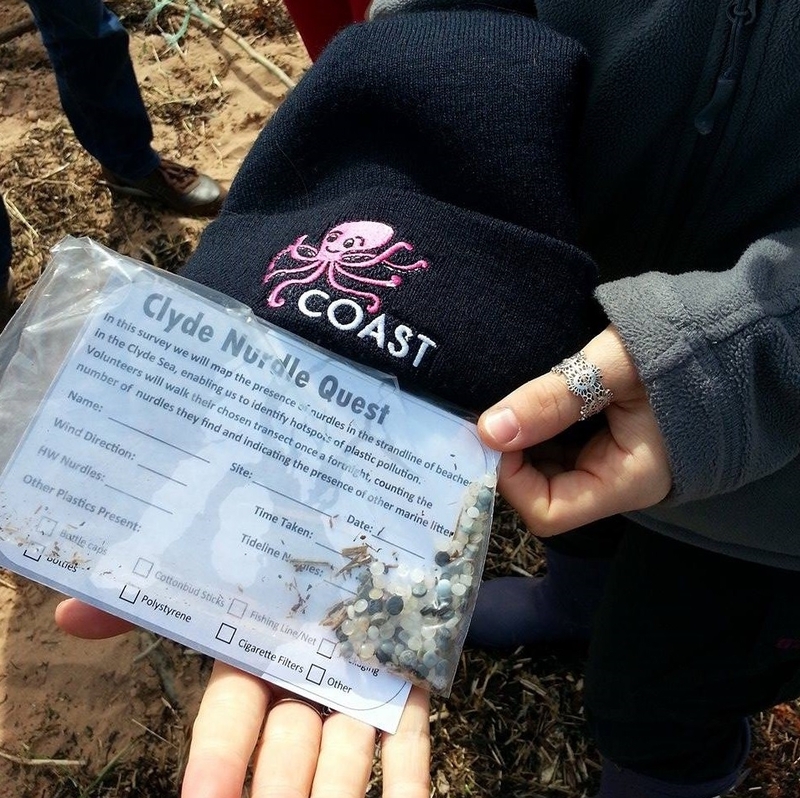 Local newspapers in the Ayrshire region have been covering our Clyde Nurdle Quest launch, thanks to the initiative of one of some of our volunteers from the Girvan Rotary Club. 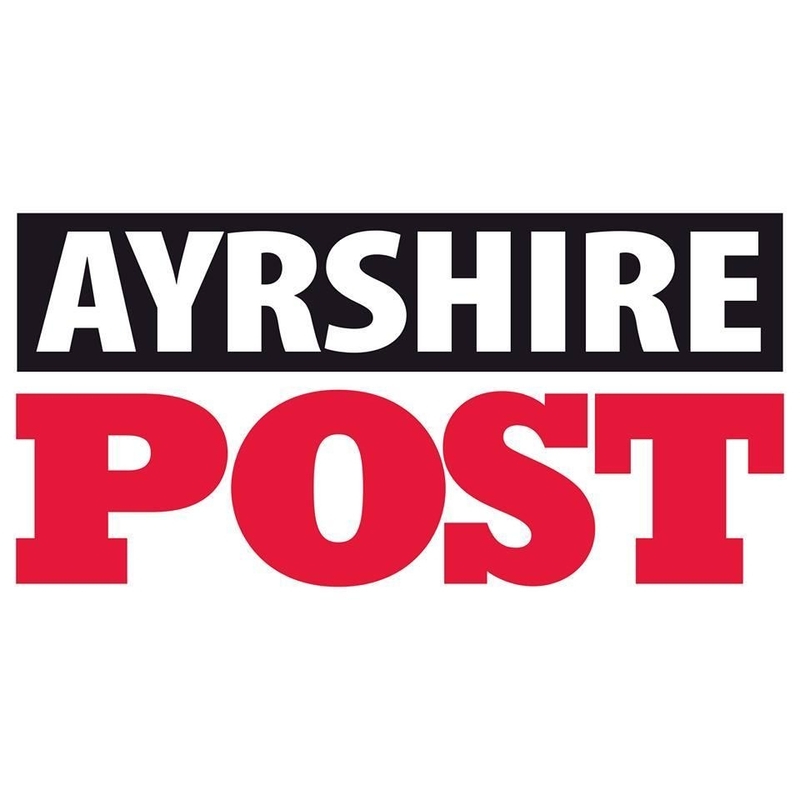 Have a look at the articles in the Carrick Gazette and the Ayrshire Post. Following the release of our comissioned pellet loss report, journalist David Burrows has written this great in-depth article evaluating UK pellet loss and the solution offered by Operation Clean Sweep for Recycling and Waste World. It's a great read and an interesting analysis. You can find it online here, or download a pdf copy of the article here. The Spring 2016 Nurdle News is out, get your copy here. It's been a busy few months at Fidra! 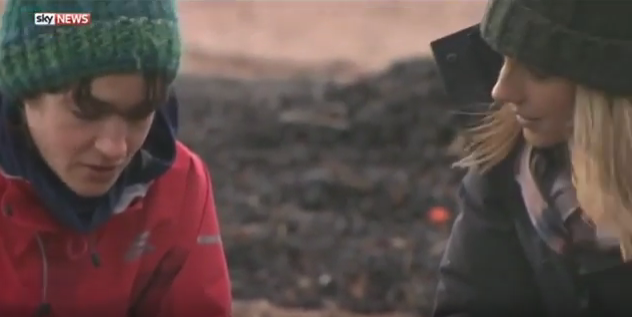 Sarah went on maternity leave at the end of 2015 and left Maddy Berg holding the nurdle hunt reins for the time being. Lots of exciting new updates regarding The Great Easter #Nurdlehunt action and results from our work with industry. Read all about UK nurdle / plastic pellet loss in this article by The Independent's environment editor, Tom Bawden. Our nurdle map has a new feature! A number of companies in the Firth of Forth area have signed up to the Operation Clean Sweep scheme in the last month, showing their commitment to tackling the pellet loss problem. We wanted to share this good news with our fellow nurdle hunters, and highlight the positive steps that many companies are taking to stop new pellet pollution for good. 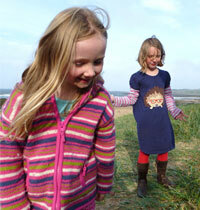 The Isles of Scilly Wildlife trust have become committed nurdle hunters... check out their blog online. Read their blog article here, and follow the Wildlife trust on facebook to find out more about their nurdle escapades. 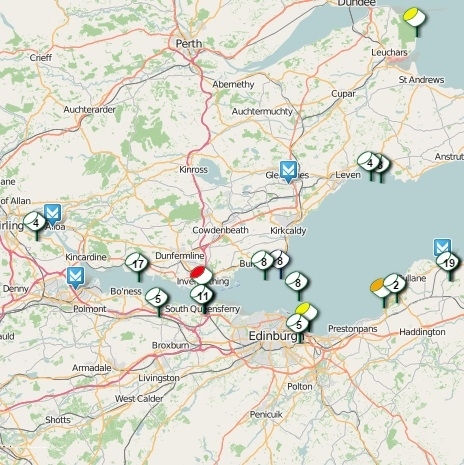 Committed nurdle hunters around the Firth of Forth have continued hunting and adding their results to the nurdle map, but we're now also encouraging finds from further afield. This will help us build a bigger picture of where nurdles are ending up. Whether you're north, south, east or west, we'd love to know if you've spotted any nurdles on the beach. Happy hunting! We are delighted to announce that on Friday 23 May we officially launched The Great Nurdle Hunt to the press. We have come a long way since the initiative started last year. This is thanks in a large part to the overwhelming support we have received from individuals and organisations large and small. Intrepid nurdle hunters have been out scouring the shores of the Forth. So far we have had just under 100 nurdle sighting sent to our website mainly in the Forth but we are getting sightings across Scotland the UK and Europe. The data we are gathering is beginning to help us see trends but the more we gather the more compelling the argument that we need change now. 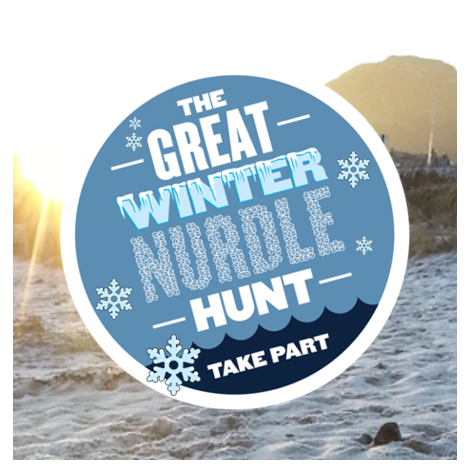 The Great Nurdle Hunt firmly believes the plastic industry should to do their bit to keep our seas clean and plastic free. We have been in discussion with the plastic trade associations and plastic industry operating around the Forth to explain the issue and explore how to work together to stop further nurdle pollution into the Firth of Forth. So far our conversations have been very encouraging and this is in the mainly because of the local support and evidence we have been gathering.